How does Prey (2017) relate to Prey (2006)? In short, it doesn’t. Confusing, yes. Prey 2017 doesn’t relate to Prey 2006. However, it does grab our attention on something more fundamental and that’s the progression of the idea behind the game. Prey 2006 was developed by Human Head Studios and published by 2k games. When it was launched the buzz was enticing and gamers fell in love with this first person shooter. You took on the role of Tommy as he explores an extra-terrestrial spacecraft and battles a spiritual alien race. 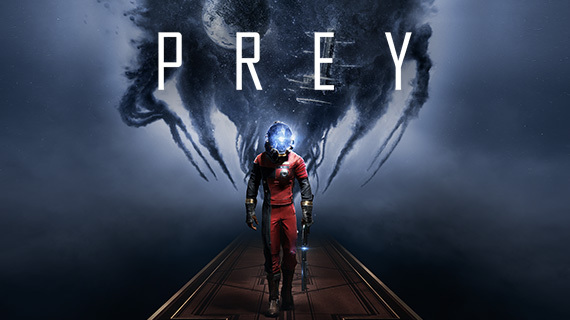 There are similarities, Prey is a first person shooter, and it features an unbeknownst hero aboard a ship, battling a bizarre alien race. The portal element in Prey 2006 was revolutionary and an instant favourite new style of play among gamers. It added a trippy effect to an already unfathomable scenario in Prey 2006, it worked really well. Unfortunately Portal released in 2007 and stole the thunder, creating a whole game around this weird and wonderful tool. Not that I’m not grateful for Portal. Bethesda Studios took over the gaming rights in order to prepare for a Prey 2, which was later cut as Bethesda’s Marketing VP said, “it a point where it wasn't shaping up to be what we wanted and there didn't seem to be a clear path to get to where we thought it needed to be.” Now Bethesda, alongside Arkane Studios as the developer, have established that Prey was a wonderful forgotten franchise that had so much potential. 2017 is going to be an exciting year for games, as the full extent of how far gaming technology has come has allowed for the concept of Prey to be reborn. So even though, this isn’t a reboot, it’s not a sequel, it’s not the Prey 2 player’s expected- this is Prey reimagined.